The Chevy Tahoe seemingly continues to rack up the awards. Over the past few years, the nameplate has taken home a number of accolades, including Kelley Blue Book’s KBB.com 2015 Best Buy Award and U.S. News and World Report’s 2014 Best Car For the Money. Furthermore, the SUV has been commended by some of the most authoritative voices in the industry, including Motor Trend, Car and Driver, and Automotive News. Prospective SUV buyers won’t be able to find a more capable and well-versed SUV engine than the unit featured in the 2016 Chevy Tahoe. After all, the EcoTec3 5.3-liter V8 engine provides all the power and efficiency a driver could possibly want. The engine can deliver an impressive 355 horsepower and 383 pounds-feet of torque. This should be enough muscle to overcome any kind of obstacle, and it also makes the Tahoe a logical choice for the worksite. Plus, if you team up these power specs with the vehicle’s excellent suspension and transmission, drivers can generally expect a maximum towing capacity of 8,600 pounds. Meanwhile, thanks to technologies like Direct Injection, Variable Valve Timing, and Active Fuel Management, drivers can expect the Tahoe’s efficiency to surpass that of rival SUVs. The 2016 model can deliver an estimated 23 mile per gallon highway fuel efficiency, a number that’s often reserved for much smaller sedans. Instead of having to constantly make stops at the gas station, drivers can appreciate all of the power that the engine pumps out. Sure, plenty of 2016 vehicles offer innovative and advanced technology. 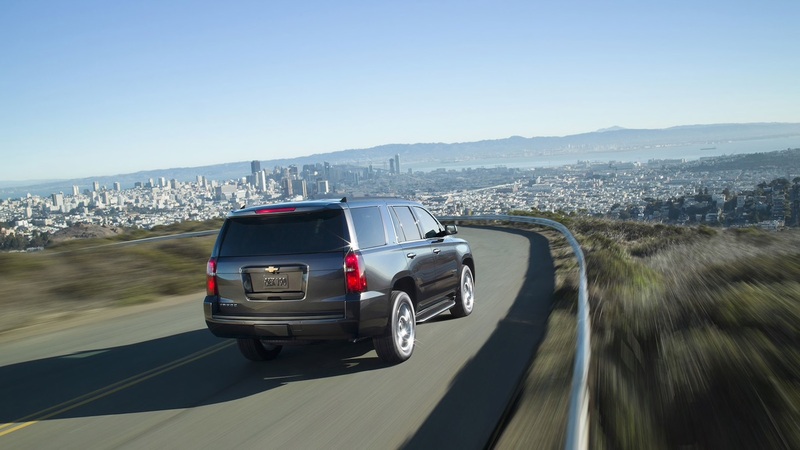 However, few vehicles offer the abundance of technology that the Tahoe delivers. Whether it’s the innovative touchscreen, the 13 charging locations, or OnStar’s remote application, you’ll be impressed by the SUV’s offerings. It starts with the Chevy MyLink system, which provides drivers with a number of applications via the eight-inch-diagonal touchscreen. Drivers can access their favorite applications, including navigation and satellite radio, making for an unmatched driving experience. Meanwhile, the push-button convenience allows drivers to operate their engine with a simple push of a button. Of course, your fellow passengers are going to be looking for additional entertainment, and they’ll presumably look towards their smartphones. The Tahoe’s 13 charging docks (including six USB ports, an 110-volt three-prong outlet, and an available wireless charging station) will allow each occupant to keep their preferred gadget juiced. Plus, the built-in 4G LTE Wi-Fi will ensure that they’ll always stay connected to the internet. 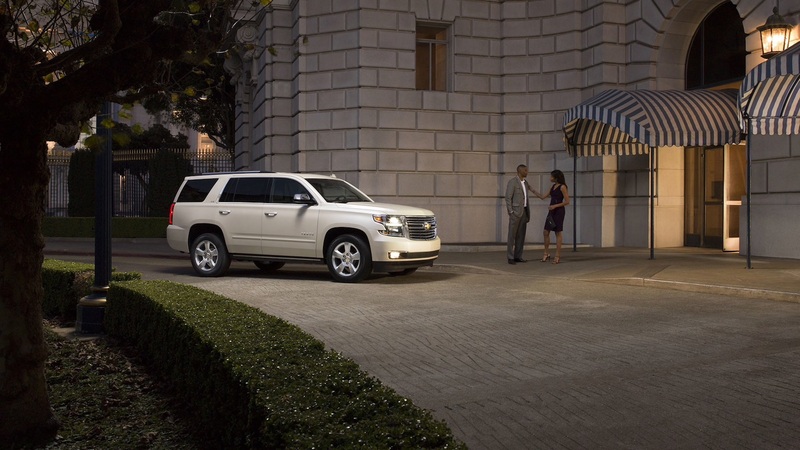 Drivers can even appreciate the Tahoe’s technology when they’re not in the vehicle. The OnStar RemoteLink application allows drivers to remotely monitor or manipulate their SUV. Owners can start their vehicle from the comfort of their own house, and they can easily lock or unlock the doors via the application. Drivers can even send directions directly to OnStar’s navigation application. 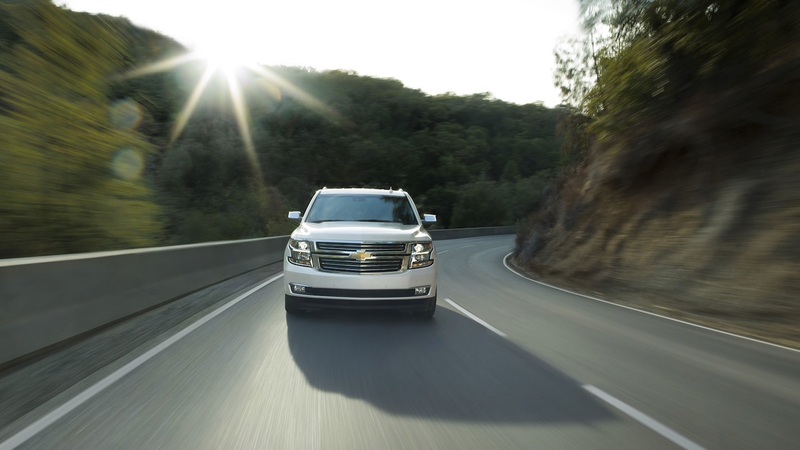 The 2016 Tahoe earned a commendable four-star overall safety rating from the National Highway Safety Administration. There are several specific features and aspects of the vehicle that helped influence these accolades, with these amenities helping to both prevent and protect. The Side Blind Zone Alert will notify the driver via audible and visual cues when a driver has snuck up beside them. Instead of accidentally switching lanes and causing an accident, drivers will know when it’s safe to move over and when it’s best to stay put. Meanwhile, the Lane Keep Assist will prevent drivers from swerving on the road, while the Front Park Assist will protect drivers from minor fender benders. The seven standard air bags will provide all of the cushion the occupants could possibly need during a collision. The high-strength steel safety cage will also be useful during a crash, as the frame should provide further protection for the occupants. If a driver does find him or herself in an accident, the available OnStar Automatic Crash Response system will automatically connect the driver to emergency personnel. The 2016 Tahoe isn’t considered a luxury SUV, but customers wouldn’t know that following a quick peek at the interior. Every inch of the cabin was meticulously designed, including the stitching on the cloth or available leather seats. The interior is also extremely quiet, as the acoustic-laminated windshield and the triple-sealed inlaid doors stops that howling wind from sneaking into the cabin. That style makes its way to the exterior, as the Tahoe’s 22-inch wheels command attention. The chrome mesh grille adds some athleticism to the exterior, and drivers can add a bicycle or kayak carrier for extra sportiness. Of course, the brand also offers a number of additional ways to personalize your SUV’s exterior. 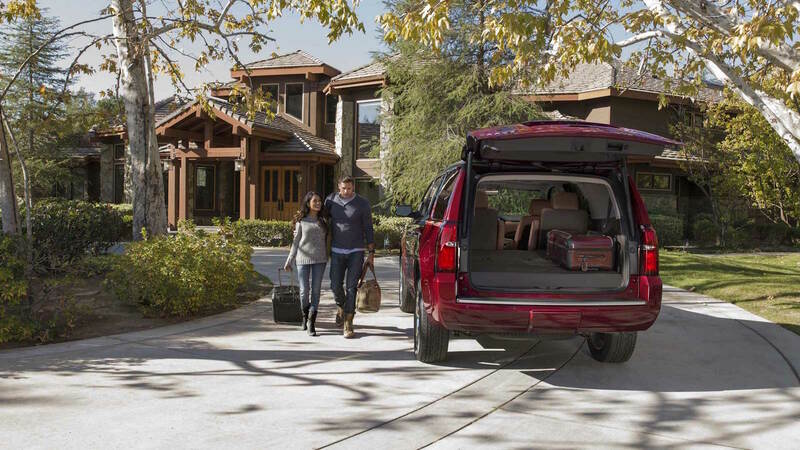 The SUV offers an abundance of cargo room, with the Tahoe delivering 94.7-cubic-feet to work with. Drivers won’t have to worry about finagling their interior to access all of this room; the power-release second-row and power fold-flat third-row seats are easy to maneuver. Drivers can opt for additional storage spots, including a hidden compartment behind the touch-screen. This hidden space is an excellent spot to hide your most valuable cargo, and there’s even enough room to fit a laptop. Speaking of convenience, engineers cleverly placed a sensor under the rear bumper. This way, a simple kick of the foot will automatically open the rear liftgate, allowing for easy loading and unloading. If you routinely find yourself trying to finagle your keys with multiple bags of groceries, you’ll immediately fall in love with this feature. There are a number of Tahoe attributes that should be recognized and celebrated by the end of the year. Whether it’s the SUV’s convenience, technology, style, or performance, we’ll surely see the nameplate boast a collection of awards for its various features. After all, it’s tradition!